The headwaters of the Tatshenshini River begin high in the Yukon mountains. Like the Alsek, the river winds through a vast nature preserve that is home to abundant wildlife and unsurpassed scenery. 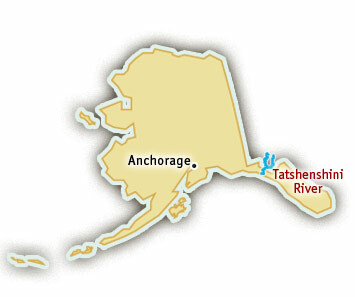 The Tatshenshini is typically combined with the Alsek River for a multi-day wilderness expedition. Tatshenshini River rafting trips consist primarily of gentle Class II riffles punctuated by fun but very accessible Class III rapids. There is plenty of time spent floating, giving participants ample opportunity to relax and take in the extraordinary scenery unfolding around them. Wildflowers are abundant along stretches of the riverbank, while the skyline is dominated by majestic glaciers and snowy peaks. At Alsek Bay, where the Alsek and Tatshenshini rivers meet, rafters will often see (weather permitting) incredible views of the tallest peak in Glacier National Park, Mount Fairweather. The mighty Alsek Glacier thunders in the distance as huge chunks of ice fall off its seven-mile-long face. This pristine wilderness is home to birds of prey—eagles and osprey thrive here—and herds of moose are common. Don’t be surprised if you come across tracks of bears and wolves on the banks of the river. An expedition on a Tatshenshini River trip is a true wilderness adventure and lasts over a week. Trips are available June through September.